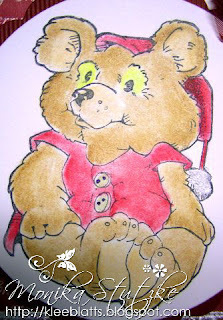 QKR Stampede - "Santa Bear"
OMG, where is the time to come. The first Advent is already over and there remain only three weeks until Christmas. Time to produce the last Christmas card. 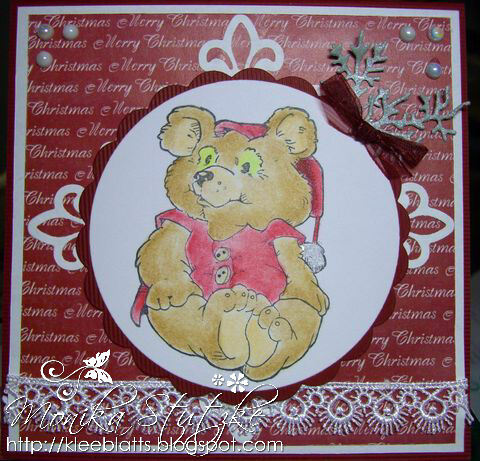 Today I used the stamp " Santa Bear" from the shop QKR-Stampede. The bear is so cute, I love him. Ok...don't laugh but It is starting to feel like winter here in California so I thought I would make a winter card for you this week. I know that those of you in snow country don't think we really have winter but it's cold and rainy so it's winter to me! One of the things I love about winter is that I can be in the snow in 2 hours but I don't have to live my day to day life in it! 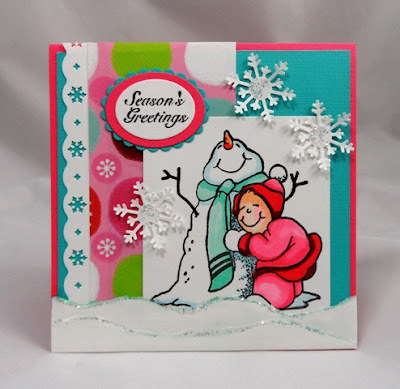 Here's my snowy card! I just love the cool feel of pink and teal together. This adorable image is "Best Friends" from QKR Stampede. 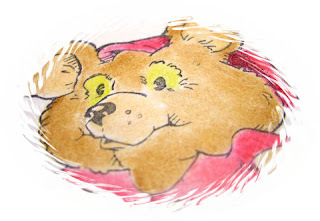 I hope whatever stage of winter you are experiencing, you are staying warm and cozy! 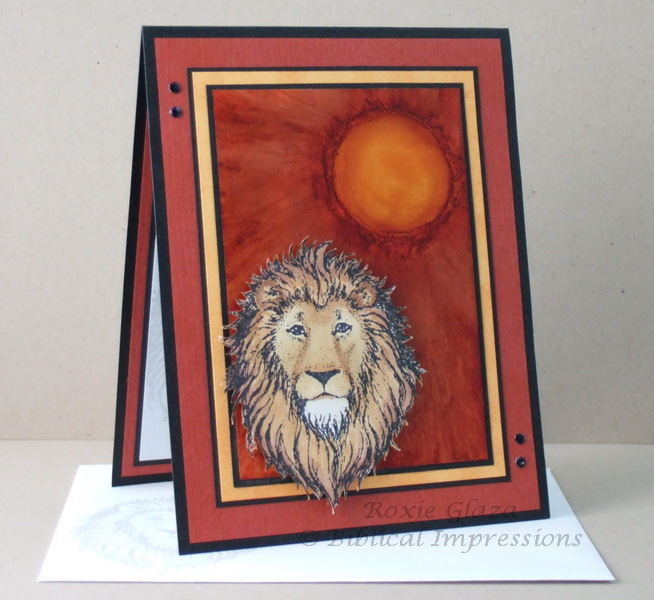 This card features the Lion Head image from Biblical Impressions. The background is created with Ranger Alcohol Inks: Butterscotch and Rust. I cut a circle of felt using my Nestabilities, attached to my Velcro block and inked up then did a circular motion on the card for the sun, applied the same color to the entire panel. Next I used a piece of felt cut about ½” wide and pulled the rust color over the top of the butterscotch then repeated the sun which helped create the dark outside edge. 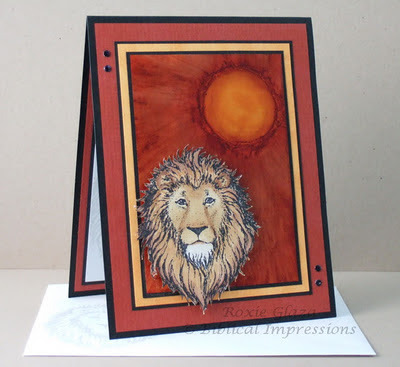 The lion image was colored with Copics: (E25,31,33,35,37,40,42) then attached to the card with foam squares. The small nailheads were attached using Aleene’s Paper Glaze for adhesive. I touch a stick pin to the glaze then to the back of the nailhead which picks it up, place it on the card, press down with the finger and pull away then slide into place if needed. The image was stamped on the envelope and insert using Stampin Up’s Going Gray ink. Wait till you see this beautiful image from Eureka Stamps. I am so in love with any stamp that is of an animal, this Christmas image is perfect. This image is called Season's Greetings Cardinal Card.I love when the sentiment and image are all together like this one. My image was colored with Copic markers. 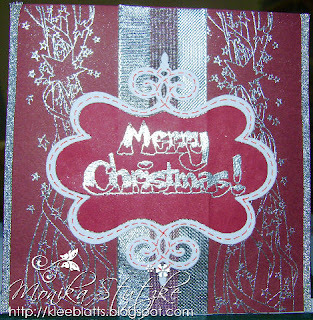 Matting was done twice to bring out the colors in this image.My airbrush machine was used for the background.I found this patterned paper at Hobby Lobby and just love the pattern Burgundy ribbon from Really Reasonable Ribbon worked to add the texture. Just a few red pearls to decorate from Pizzazz Aplenty.I even used a little Liquid Glass to accent the berries. Now I couldn't forget to share a view of the inside, just ready for a message. Did you know most images are available in both unmounted red rubber and digital at Eureka Stamps. You can pop over and get some great images for your Holiday cards. This is my last post today! 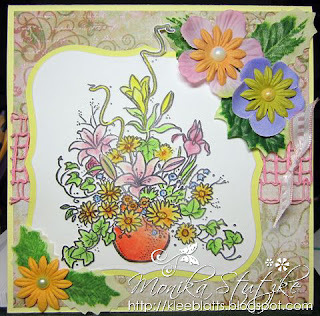 I want to take this time to THANK Maribeth for giving me so much as a design team member of QKR Stampede, Biblical Impressions, and Eureka Stamps. 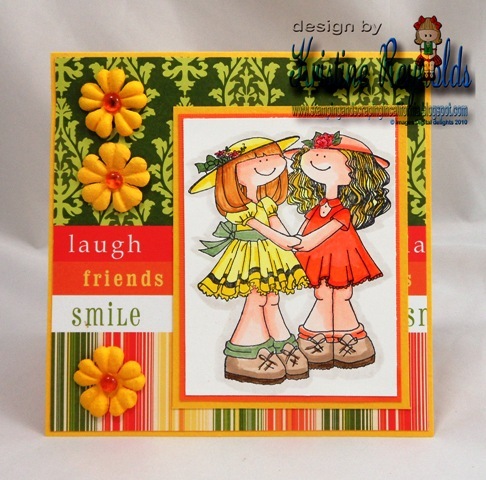 I have really enjoyed creating with the stamps and products. 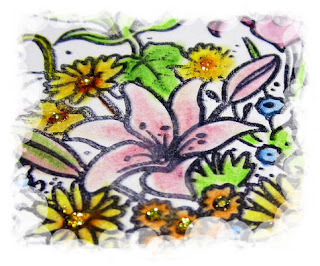 The water was created with watercolor pencils and Signo gel pen for the white. The water drops were created with Aleene’s Paper Glaze. Copic markers were used to color the fish and it glued to the panel at the tail and popped up with foam tape towards the head. The fly was stamp on the card then stamped again and cut out minus the hook and mounted over the first image. 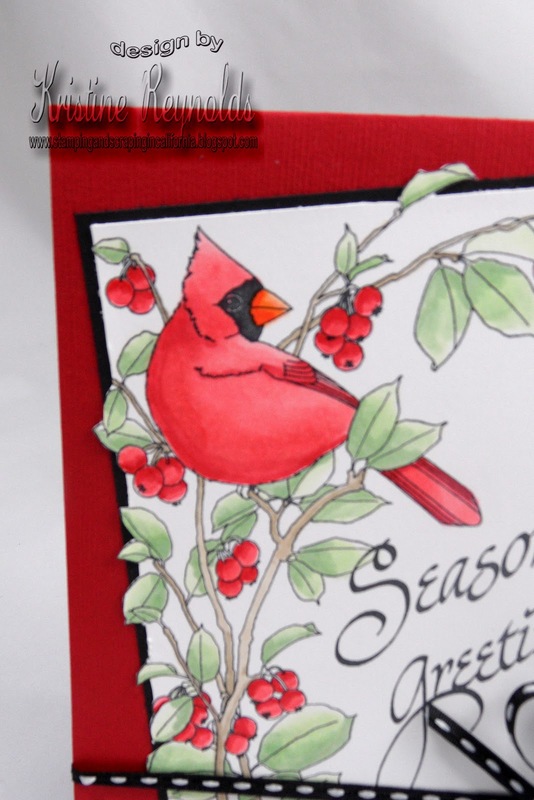 The feather was glued to the card with Aleene’s tacky glue. EK Success Brackett punch was used for the border and a Tonic paper perforator was used to distress the opposite edge. 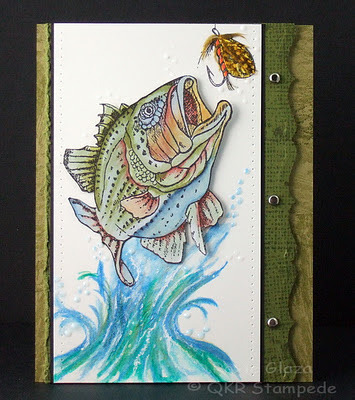 Tim Holtz clear ruler and Bazzill piercer were used to create the pierced borders on the image panel. Happy Thanksgiving to everyone in the US today, I used the large Eureka Stamps – 22101 Oak Leaf Wreath image for todays card. The image was colored with Copic markers: pomegranate – E07,08,09,R29,46,59, leaves– E95,97,99, E31,35 over the top, wreath W1,3,5,7, E21,44,47, shading – C00,0,1, and E40,42…this was done over the entire white space of the background heavier in some spots. The bow is paper pieced and built up in layers to create dimension. 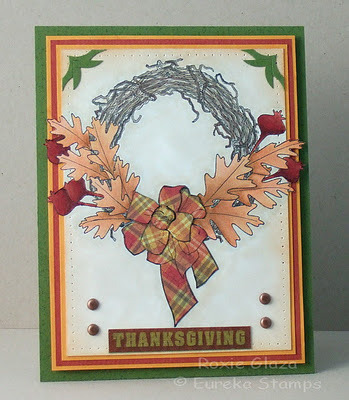 The Thanksgiving is cut from a piece of K&amp;Company designer paper, mounted on cardstock to add dimension. The corner tabs are cut with the Iron Eagle punch from EK Success and glued to the card with Aleene’s tacky glue, these are the negative pieces we normally throw away. Paper piercing was done around the edge of the image panel. The image panel with borders was mounted on foam squares. Today I have some very simple gift card holders to show you. I cut the red card stock 4 1/4" x 7 1/2"
I scored and folded it at 1 1/2" and at 4 1/2" The 1 1/2" section folds in to create the pocket for the gift card, by just adhering the outer edges of the pocket. The other folds to form the front of the card. 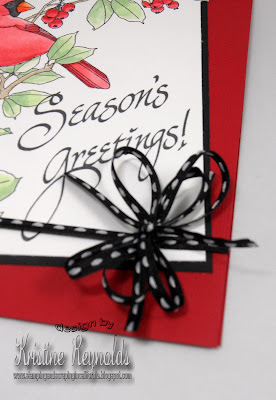 I adhered the stamped Lady Bug Border to the front of the card. QKR Stampede and stepped it up a notch. 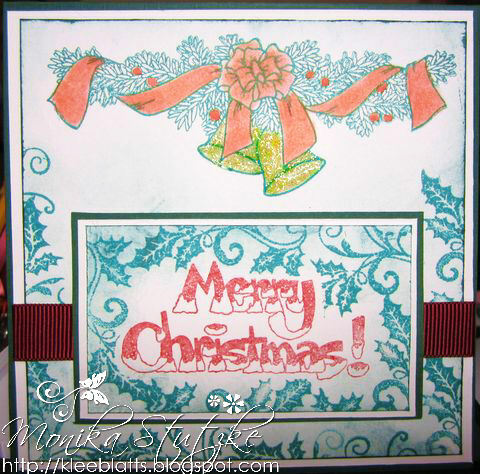 I stamped the Christmas Border onto the front of the card and colored the image. 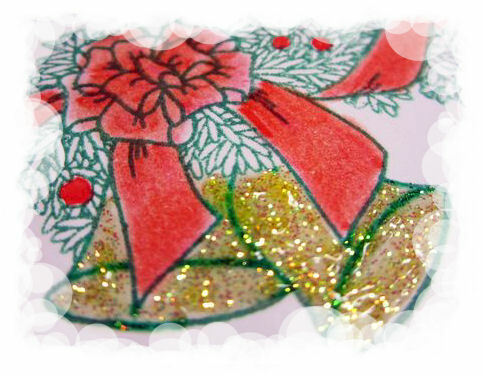 I also stamped the image onto the envelope that I made and colored it too. These gift card holders can be made with many images from Eureka! 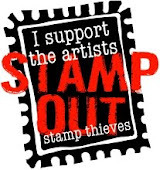 Stamps or it's sister companies QKR Stampede and Biblical Impressions. 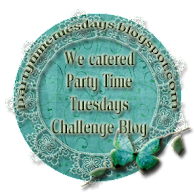 There are many different themes that can be used for lots of occasions. Thanks for stopping by today. Leave a comment, then hop on over and see what you can find to make some of these cute gift card holders. Hi there. Only a couple more days until TURKEY DAY!!!!! 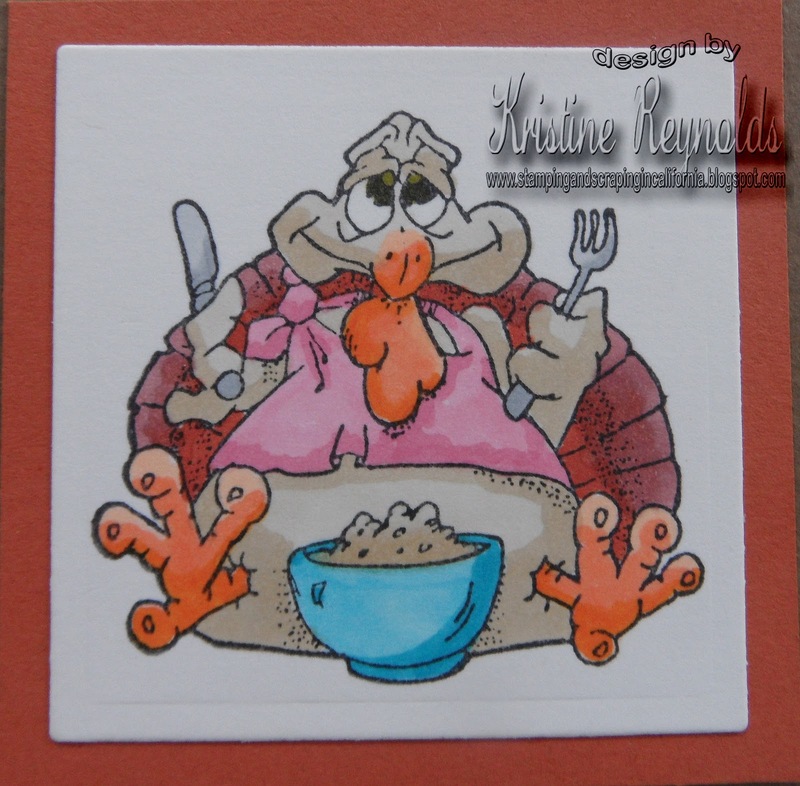 So in honor of the upcoming US holiday, I thought I would share this cute little card using the Turkey Boy Stamp from Biblical Impressions. A very simple card, but doesn't it look like he is begging us not to eat him...lol. I stamped him, and colored with colored pencils. I layered onto some DP from Echo Park. 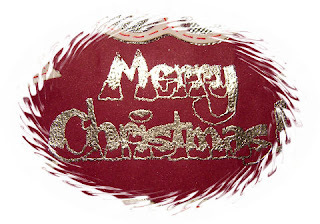 I added the brown ribbon and bow. Very simple, but cute! Thanks for stopping by! Today I can show you another stamp from the Stamp Shop Biblical Impressions. It's called "Flower Bouquet". 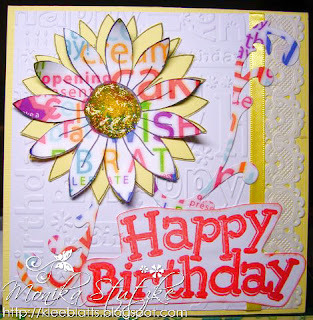 My card can take on many occasions, but I think she will be given away as a birthday card. Today my Eureka Stamp image is one yummy design. Can you believe it is only one month and five days till Christmas? Let me share my card today. 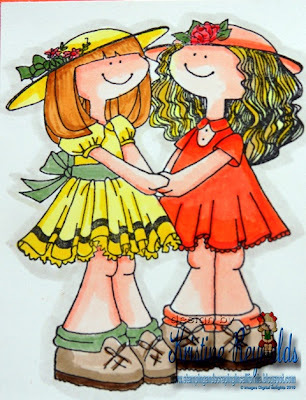 I started by coloring my image with Copic markers, then I went in to touch with a little Creative Inspirations Paint. I found this Stampin Up paper in my stash and knew it would be a great background for my red Candy Cane. Now you know I fussy cut and pop dotted to my card. I little greenery and red berries make it really pop. Last I added a few red pearls from Pizzazz Aplenty. Did you know there is also the Legend of The Candy Cane background stamp available at Eureka Stamps, bet this would be wonderful together. Hope I gave you a little inspiration today. QKR Stampede - "Snowy Merry Christmas" and "Ribbon and Bells"
The year is coming to an end and the holiday season is upon us. Next Sunday we have the first Advent. Had we not had until New Year? 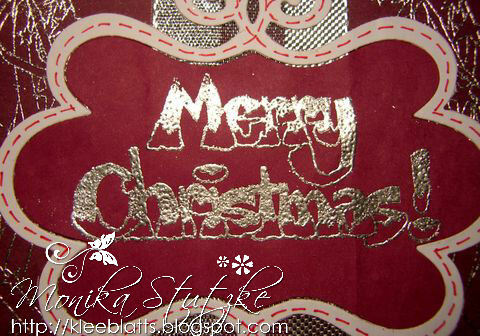 They are the stamps Snowy Merry Christmas and Ribbon and bells. 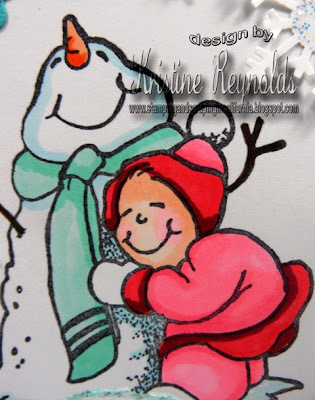 Hello and welcome to the QKR Stampede blog hop for November, our theme this month is SNOWMAN - SNOWWOMAN - SNOWPEOPLE so you might find the creatures we build out of snow or the real people that loves playing in the snow. 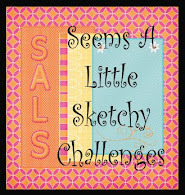 Below you will find the complete blog hop order and direct links to each design team member's hop post (the hop offically starts at 6:00 AM Easter so if they aren't set yet please check back). Should a link be broken along the way just hop back over to this blog to find the next person in the line up or just hop through the direct links from here. Here a sneek of what you'll see along the way. So glad you stopped by today. My week is crazy busy because my sons high school marching band is hosting a band tournament this Saturday and I am in charge of it! 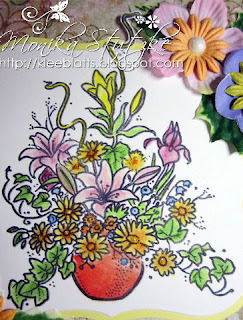 But I do have a quick post today to share a really cute Eureka Stamps image. Here's a closer look at the girls. 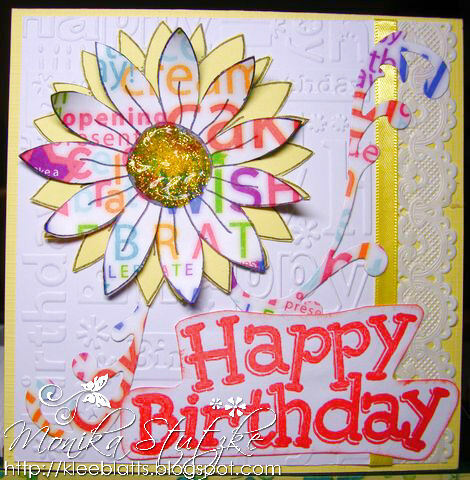 I'm so glad you stopped by today and hope you enjoyed my bright, happy card! 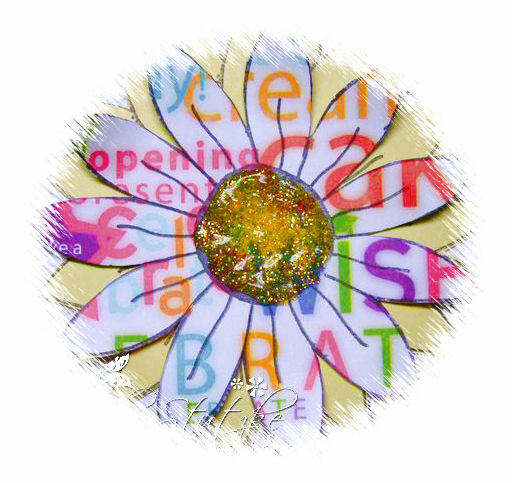 Have a bright, happy rest of the day! Today I have a card that I made with only part of an image. I have used the image "Life is Sweeter" (#9102) from QKR Stampede. I cut the rubber stamp apart and used only the sentiment. 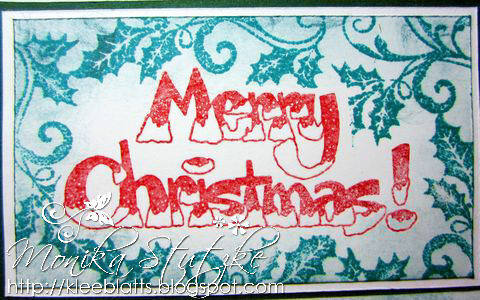 With the stamp cut into pieces I can use it in many more ways on cards and other projects. I decided I wanted to do something a little different on the front of this card. First I punched out circles from different coordinating papers, then adhered them to a piece of card stock. I then trimmed it to the size I wanted for the card and layered it onto another piece of card stock. Before adhering it to the card base I punched another circle out of the right side of the card stock. 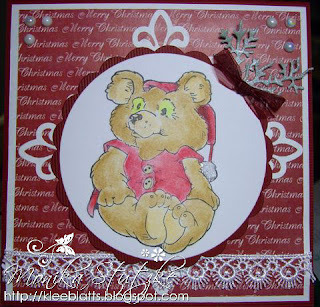 I used a border punch to punch out the tiny hearts and used foam tape to adhere them to the card. This card was quick and easy and I think it turned out very pretty. I hope you have enjoyed it too. 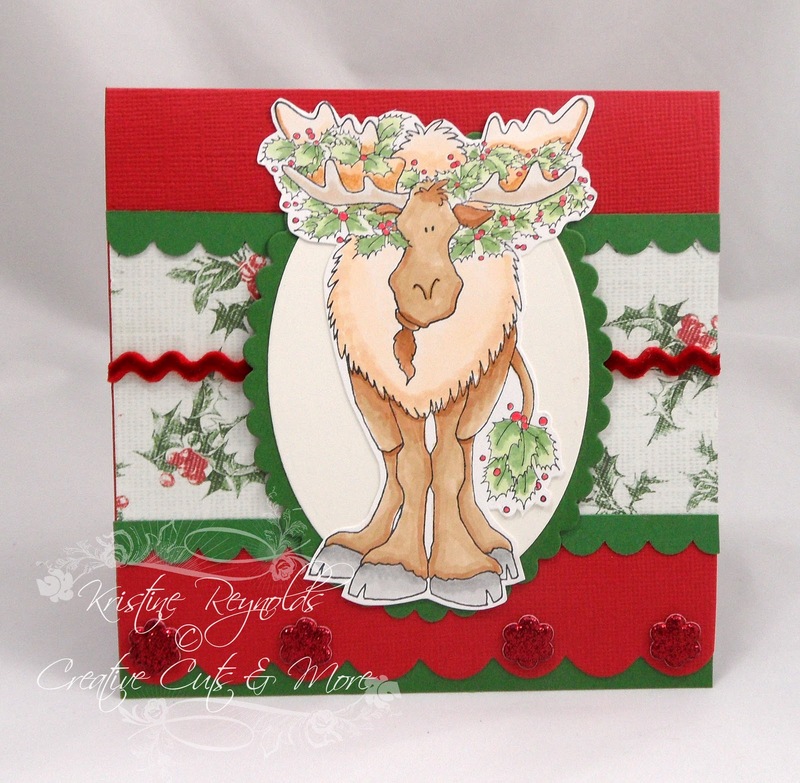 Now hop on over to QKR Stampede and see what stamps you might be able to use in different ways. 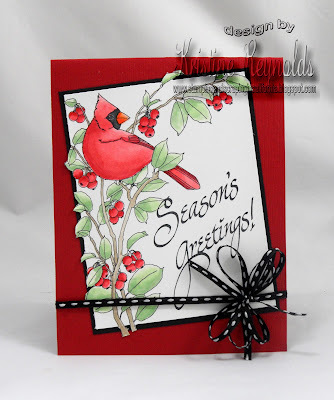 Hi there and welcome to the Eureka Stamps Blog Hop! Our theme this month is "Words"...yup...words. We wanted to show off some of the great sentiment stamps available from Eureka Stamps. So we decided to use word stamps as our focal points on our projects this month. Below is the complete hop order, soo...sit back, relax, grab a cup of coffee, and hop along with us! The official start time of the hop is 6am EST Monday 11/14...so if you arrived a little early, please be patient as we get all the "kinks" worked out. Don't forget to leave some love along the way...we enjoy reading your comments. ...and in case you get lost...here is the complete hop order. I have a fun Thanksgiving card to share with you. QKR Stampede store in red rubber and digi. Here's a closer look at that fat little Turkey! 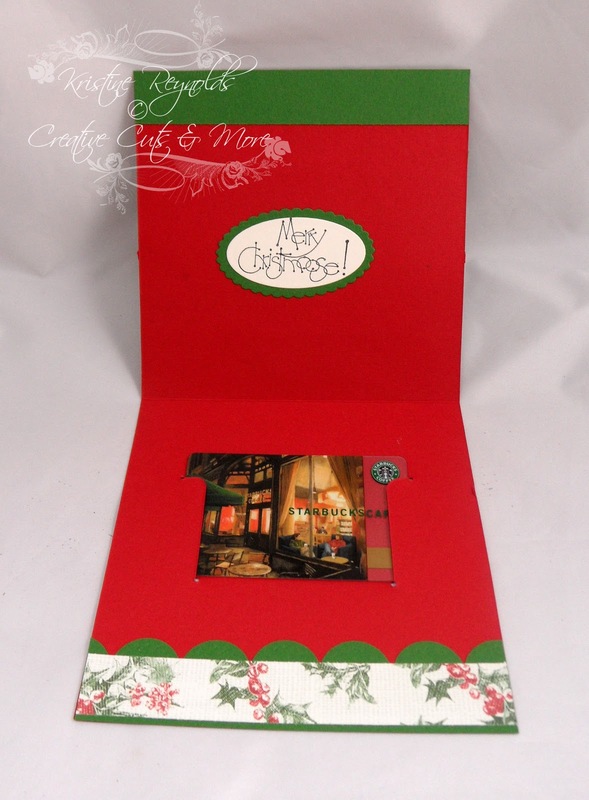 And here's a look at how I finished off the inside of the card. 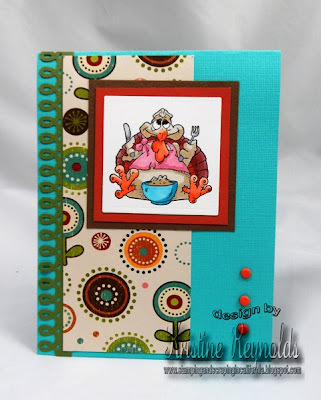 You still have a little bit of time to get those Thanksgiving cards made....so get crackin'!